Mukesh Ambani led Reliance Jio has once again caused a major disruption; and this time, it is the feature and smartphone market, with a single go. Reliance Jio announced the ‘India ka Intelligent Smartphone’ dubbed JioPhone at its 40th AGM meeting held in Mumbai, India. The JioPhone comes with 4G VoLTE support and offers several smart features. While the company sold the affordable 4G VoLTE smartphones through LYF branding, the JioPhone has only the Jio branding. Interestingly, the JioPhone was introduced as a smartphone instead of a feature phone and the smart features justify that. It comes with 4-way navigation buttons along with the Alphanumeric keypad. 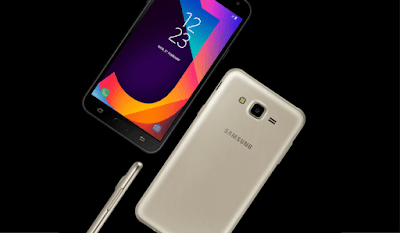 Jio has launched the much awaited Jio Phone, which is effectively free of charge. After data and voice, the market of phones will never be the same in India, courtesy Reliance Jio. By paying Rs 153/month, users of Jio phone can get free voice, free data, free SMS. Hailed as ‘India ka smartphone’, Jio Phone will support 22 languages and would be fully VoLTE based. Another plan of 309 per month will enable connecting the phone with the TV, so that the user can watch the content streamed via Jio phone on the TV, directly. Ever since Jio was launched, analysts have described hardware as the most crucial challenge for Jio’s expansion. Considering that Jio was based on VoLTE interface, only those who had 4G phones were able to use it. And Mukesh Ambani knew this fact. This is the exact audience which Jio aims to target now, and the offer looks sizzling to say the least. In the last 10 months, Jio has broken several records: They added 7 customers every second, every single day of their inception. Jio wants to cover 99% of Indians with their services. As per Mukesh Ambani, Jio will churn out 50 lakh Jio phones every week, starting September. If Jio is able to convert existing feature phone users into Jio phone users, then it would be one of the biggest coups ever witnessed in Indian telecom industry. One of the most innovative features of the JioPhone is the voice assistant in regional languages. 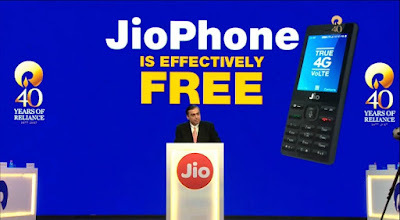 Though the JioPhone is announced to be free, the company will be collecting 100% refundable deposit of Rs. 1,500 to avoid the misuse. The users will be paid back only after 3 years from the date of JioPhone purchase. Talking about the availability, the JioPhone will be available for beta testing from August 15th and the pre-booking starts from August 24th. The sales start from early September on the first-come first-serve basis. Jio also announced to make 5 million units available every week. The users of JioPhone can enjoy unlimited voice calls, 4G data, and access to Jio apps for just Rs. 153. It comes with a validity of 28 days and the unlimited 4G data has a FUP of just 500MB per day. Apart from the Rs. 153 plan, the JioPhone users can also avail the small recharge packs of Rs. 24 for two days and Rs. 54 per week. The screen mirroring is another innovative feature for a feature phone. For streaming content from JioPhone, the customers have to opt for Rs. 309 plan instead of Rs. 153 basic monthly plan. They will be getting a JioPhone TV cable that can even be plugged into any TV including the older CRT TVs. The device also supports the 22 Indian regional languages. It sports a 2.4″ QVGA display and is said to come in compact form factor. The JioPhone also got the SOS feature which can be enabled by long pressing 5 on the keypad.Once SOS is activated, it sends the location and emergency alert to pre-selected contacts and calls the 112 emergency number. It even packs torch light, FM Radio, MicroSD card slot and more. There is also NFC support for making virtual payments but it will be enabled later this year via automatic software update. Jio also showed the demo of the built-in Namo app for listening to the Prime Minister’s Mann Ki Baat. With over 125 million users, its market share will see huge surge once the JioPhone is made available in the market. According to the Jio, its 4G network coverage will be more than 2G coverage of the other networks in the next one year. Reliance Jio has just announced it’s latest hardware product at its AGM today, a 4G feature phone designed for people who just want a basic phone with good internet access. The JioPhone comes with a 2.4-inch QVGA display, with 512 MB of RAM and 4 GB of internal storage, expandable up to 128 GB. It features a VGA front camera and 2MP rear cam, and is powered by a 2000mAh battery. The JioPhone has 4G support, and features both a mini and nano SIM slot, though there’s no 2G or 3G support. Additionally, the device has Bluetooth 4.1 and WiFi connectivity, so it’s still more than what you’d expect of a typical feature phone. More importantly, Mukesh Ambani has proclaimed that the JioPhone "will be available to all Indians at an effective price of Rs 0." The company says it will collect a Rs 1,500 security deposit to prevent misuse, which will be refunded after a three-year duration, if you choose to return the phone.